I didn’t see this one coming. Cartoon Network has released the opening credits sequence and synopsis for the upcoming Adventure Time: Islands. The four-night eight episode special event will explore the history of Finn and clue us in on what happened to the humans. We’ve all been wondering and now we might get some answers at last. 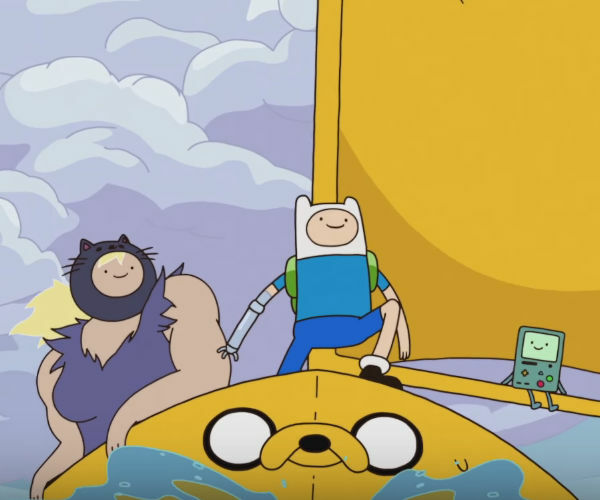 In Adventure Time: Islands, Finn (voiced by Jeremy Shada), Jake (John DiMaggio), BMO (Niki Yang) and Susan Strong (Jackie Buscarino) leave the Land of Ooo to embark on a quest of epic proportions across the ocean and into new lands—encountering new creatures, discovering new islands and using teamwork along the way. Adventure Time: Islands will air from January 30th through February 2nd, but if you want to watch it before then, you can find it on DVD, iTunes, Amazon Video, and Google Play for $15. That advance release has some special features as well. Check out the opening credits for the limited series right here.